Statistically, it’s unlikely you live in any of them. MELBOURNE REMAINS THE “most liveable city” of the 140 surveyed as part of this year’s list, taking the title for the third year in a row. The Austrian capital, Vienna, is in second, with Vancouver in third place. The top ten is dominated by Australian and Canadian cities. The survey, carried out by the Economist Intelligence Unit measures which urban centres provide the best or the worst living conditions. The ranking scores 140 cities on a scale of zero to 100 for 30 factors, including quality of public healthcare and the threat of military conflict. 28 cities have seen changes over the past year – in most cases, they’ve moved down the list as a result of civil unrest. According to the EIU, “the Arab Spring, European austerity and Chinese discontent” all contributed to their downward trajectory. Conflict, or the threat of conflict, was the main factor in the poor placing of the cities with the lowest scores. For example, the threat of armed conflict will not just cause disruption in its own right, it will also damage infrastructure, overburden hospitals, and undermine the availability of goods, services and recreational activities. The Syrian capital, Damascus, has seen its score in freefall since the escalation of violence in the country. In the past 12 months, it has dropped ten places to the bottom of the ranking. A similar drop took place in Tripoli during the Libyan civil war, and the city still remains in the bottom ten cities. Email “ Drumroll, please... The top ten "most liveable cities" in the world have been named”. Feedback on “ Drumroll, please... 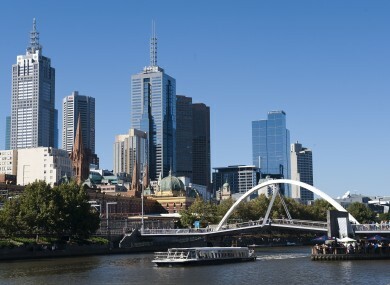 The top ten "most liveable cities" in the world have been named”.